Haiku Games has an elegant design philosophy. Like the poetry of their title, their games are short enough to not outstay their welcome, sweet and perfectly considered. When they turned their collective attentions to the creation of a Tactical Role Playing Game for the mobile market they kept these principles at the fore and ‘Solarian Tactics’ launched as one of those rare treats that played smoothly and captured the core aspects of the genre without getting bogged down in overly-complex systems. Andrew, a representative of Haiku Games [I’m the founder of Haiku games if it matters :)] , sits down with us here at MBU to answer some questions about the title and its semi-sequel in his own words. Firstly a big thanks for taking time out of an otherwise extremely busy schedule to do this interview, it is greatly appreciated. For those not in the know, can you summarise Haiku Games in a few simple words? Let me start by saying thanks for the interest in Haiku Games! We’re always happy to hear from our players. Haiku Games is a indie game studio. We want to make mobile games that are like a haiku, short and sweet, light (in the sense of having no excess baggage), but deep and fun to play. Am I right in assuming that Solarian Tactics (and its sequel Sol Heroes) are the only games Haiku have produced that deviate from your ‘Adventure Escape’ series of adventure/puzzle titles into RPG territory? What was the motivating factor in creating an RPG, and a Tactical RPG at that? There are so many different formulas and variation on the RPG genre that easier options must have been open to you as a studio. The tactical branch of the family tree requires a serious commitment that other battle systems don’t. I am a big fan of playing Tactical games in general, so I always wanted to make a Tactical RPG. I felt the mobile phone market was missing a great Tactical RPG. What was development like on Solarian Tactics? Did it run smoothly or were there some large obstacles to overcome? It was a bit of an adventure. Solarian Tactics is actually the first large scale development project I’ve worked on. I am not trained as a programmer, but I had picked up some basic knowledge throughout my career (I was a Product Manager at Playfish/Electronic Arts previously) and out of personal interest. When I went back to grad school, I thought that I would really dedicate myself to learning how to program so I could make my own games. 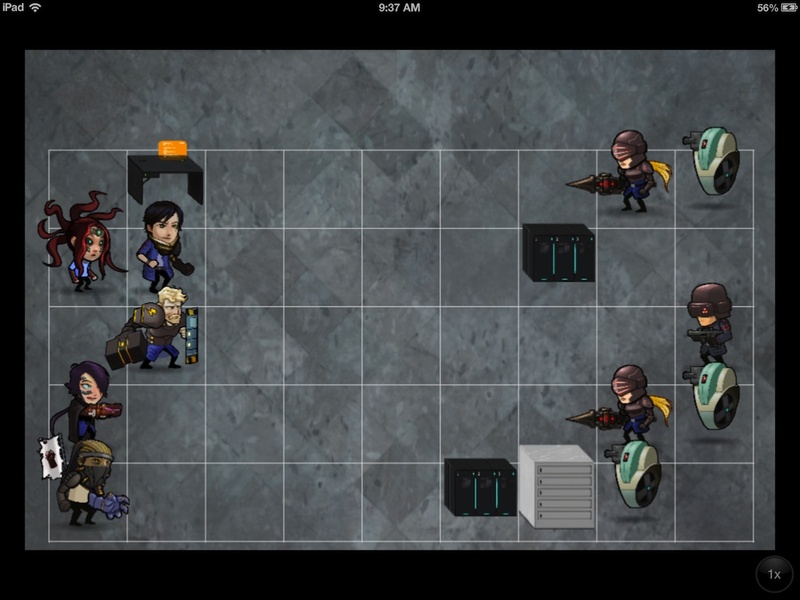 After learning iOS programming, I developed Solarian Tactics mostly over my summer break. I really did not know what I was doing but I worked super hard at it, and released it a little while after that summer. Combat looks simple and is remarkably fast and fun for it. The battle system in both games is very fast paced and puts an emphasis on individual characters and their strengths. It is however less complex than many tactical systems, which normally feature destructible terrain, flanking and other such elements. Was there a deliberate cutting back and streamlining to combat in order to make the game feel faster? What was the thought process behind the battle system ? Definitely. I wanted to create something that had the core tactical RPG elements but fit well with the small phone screen. 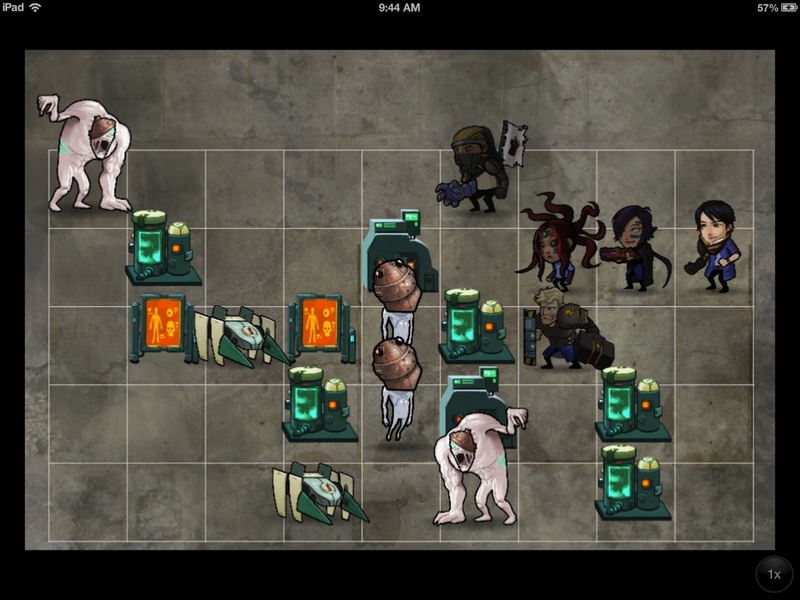 I think many Tactical RPGs don’t translate well into a mobile phone. Final Fantasy Tactics was one of my favorite games growing up but I find playing it on my phone frustrating since everything is so small and hard to tap. That was the idea behind reducing it to a 2D map. But how will we have depth? I think highly specialized units is one way (Lester the tank versus Cici the shooter), meaningful choices for what to upgrade (every character has only 4 Augments, but they are very different), and abilities and effects that reposition units, so positioning in the battle screen is constantly changing. Solarian Tactics received a companion game on Sol Heroes that strips all of the plot elements away and provides a series of combat challenges for the player to overcome. Has it been as well received as the original title since launch? One of the chief requests for Solarian Tactics was to just make it longer. I felt I had wrapped up the story, so I didn’t want to just tack on additional levels. Sol Heroes was our solution to this. It has many more levels, but it doesn’t try to weave a story through them. Overall the response has definitely been positive! How were sales for the original Solarian Tactics game? Did they live up to expectations at the time and does it still see regular purchases? Sales absolutely still continue, which is nice! On their own, the Solarian games weren’t huge hits, but I will be eternally grateful to those who purchased them because it was encouraging enough that I decided to devote all my energy to Haiku Games. Sol Heroes is of course free to play and runs full screen on the 5c whilst the original title remains in 3g aspect. Is there any incentive to go back and update the original for newer devices? Never say never, but it’s more likely that we will make an entirely new Tactical RPG so that we can get it on both Android and iOS devices. Correct use and levelling of characters is vital to some levels. The artwork used for Solarian Tactics and its sister title is excellent, and the backgrounds for story sequences in particular are beautifully designed with some excellent Science Fiction concepts on display right from the outset of the game. Who was responsible for crafting the look and feel of the game? Two fantastic artists were responsible for the art. Young Kim worked on all the backgrounds and character design. Phil Reuss worked on all the animations. There’s so much I love about Tactical RPGs – customizable squads, job systems, flanking, etc., but a lot of that didn’t make it into the game design document because it was best to keep it manageable. We had the idea to add items to the game that didn’t make it into Solarian Tactics but we put it into Sol Heroes. Can players ever expect to see a true sequel to Solarian Tactics with a fully-fledged story mode? Personally I’ve played the game start to finish twice (one on launch and again after beating Sol Heroes to compare the two) and the world setting certainly feels like it has enough depth to support additional tales and characters. Failing that will Haiku be visiting the realm of RPGs again any time soon with a new IP? Yes, we certainly want to return to the RPG realm. In what capacity, I am not entirely sure. In the last year we have been focused on our Adventure Escape titles and we have learned a lot from making them that we will apply to future games of all genres. I want Haiku Games to be a place where small pods of people work on games they are passionate about. At this time Sol Heroes doesn’t appear on your company website, is there a reason for this other than lack of time to update? Do you have any memories of working on the project that you are particularly fond of or that are particularly funny in hindsight? One of our artists was asking the other one what he was most afraid of. He described this extremely scary movie scene (I wish I remember which one) where a giant spider stabs the protagonist in the leg. At just that moment, his cell phone buzzed in his pocket with a call, and he nearly jumped out of his chair! Thanks for taking the time out to answer our questions today Andrew, and a big thanks to Haiku Games for producing such an excellent mobile entry into the RPG genre. Readers can visit the Haiku homepage HERE and can pick up Sol Heroes free on the iStore right now. Solarian Tactics will currently cost you just £1.99 and is certainly worth playing through for any fan of the genre.